We are all well aware that Facebook is the largest social network in the world with over one billion active users, but it has only been over the last few months that we have seen a noticeable change in the company’s strategy as the Palo Alto based network has moved to pay more attention to its vast number of mobile users. Updates to both the iOS and Android official apps have brought greater stability and increased browsing experiences, and it now seems that Facebook is going to be focusing on enhancing their iOS mobile photo upload experience by trialing a Photo Sync feature that borrows a fair amount of its power from the previously created Android functionality. 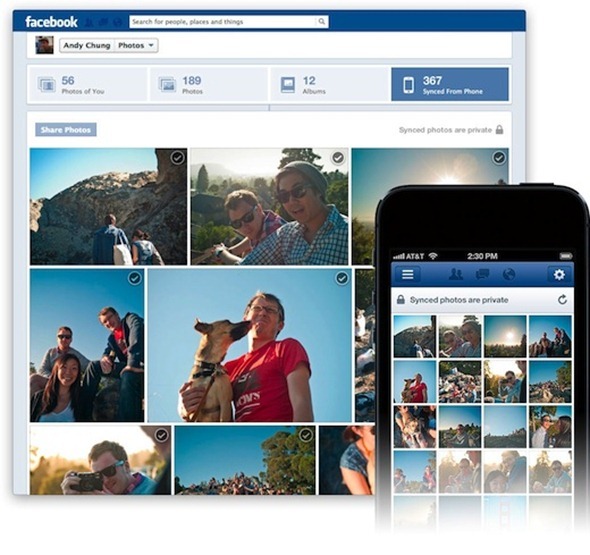 Facebook may have the ability to chat, update statuses, post comments and share location information, as well as installing and interacting with dedicated Facebook apps but photos have always been, and remain the lifeblood of the network. In a report carried out last year; users of the social network were shown to be uploading over 250 million photographs each day, which just goes to show how important visual media is to the company and its user base. This new Photo Sync feature is designed to dramatically increase the upload experience of iOS based mobile users. For those fortunate enough to be included in the early trial, the Photo Sync feature is enabled by selecting the Photos app from within the iOS Facebook app and then scrolling all the way to the bottom of the interface. If you do have one of the chosen Facebook accounts that has been shown to be used with an iOS device, then there will be an option to enable Photo Sync. The new mobile feature works in much the same fashion as the Android variant or the Google+ Instant Upload feature, in that it pushes all photos taken with the device to an unpublished album on the Facebook account. The theory is that; publishing the images and making them live will be much easier due to the fact that they are already housed on Facebook’s servers and have been stealth-ly uploaded in the background. Considering Facebook classes photos as a vitally important part of their network, and one of the main reasons why users not only spend so much time on the site, but also keep logging in for more browsing time, this could be a vitally important service. However, whether or not users want all of their images automatically be sent to Facebook is an entirely different story. The trial continues with Facebook Photo Sync, with it being currently unknown whether this service will eventually go live to all iOS users.